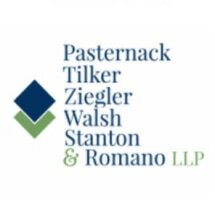 Our law firm, Pasternack Tilker Ziegler Walsh Stanton & Romano, LLP, was founded in 1930, and our lawyers in multiple departments continue representing New York residents with nearly any legal concern. From our Forest Hills office, we practice workers' compensation, personal injury, Social Security Disability and other practice areas. Since we were first established, our lawyers have achieved more than $1 billion in settlements for our clients. Whether filing a lawsuit or claim because of damage caused by Hurricane Sandy or because of a car accident, at Pasternack Tilker Ziegler Walsh Stanton & Romano, LLP, we have the attorneys equipped to handle any situation from any catastrophe. Our law firm has managed cases for more than 500,000 clients. If your regular job duties or a workplace accident led to an injury or disease, you could be eligible to file more than one claim. That's why working with a law firm that practices multiple areas of law is essential to receiving the proper compensation and medical coverage. We have been honored to receive recognition from clients and the industry. In 2009, 2010 and 2011, our firm's lawyers comprised the entire list of New York metro workers' compensation attorneys listed in Super Lawyers. We offer Legal representation for clients of many backgrounds, including those who speak Spanish, Chinese and many other languages.